Motorola is probably going to give someone the hairdryer treatment on Monday morning. The latest iteration of its Moto G smartphone prematurely appeared online, suggesting that it won't be too long before it's released. Those phone shopping on a budget, this one is for you. The 3rd generation Moto G has made a brief appearance on the website of third-party device retailer Flipkart (via Gadget Raid). It appears this was all an accident as the listing was swiftly pulled from the retailer's site not long after word got out. Lucky for whoever made the blunder, there was no photo or any confirmed specs released. However the listing did mention a white colour scheme and an 8GB storage option. Apart from this, Motorola has done well to keep the new Moto G out of the news. Although recent speculation suggests the latest model will boast 4G LTE connectivity, a 5 or 5.2-inch 1080p display, 2GB of RAM and a 1.7GHz Snapdragon 610 processor. There's been no word on a price or release date, but considering we're starting to hear more of the new Moto G, it shouldn't be too long before it's officially outed. We're big fans of the Moto G and everything it stands for, providing more-than-capable specs for a bargain price tag. The original Moto G was hailed as a breath of fresh air and the 2014 Moto G added 4G to the mix, making it even more attractive to those seeking a low-end handset. If the new Moto G indeed packs a 1080p display, then it would be the icing on the cake – that's if it doesn't compromise its affordable price point. Stay tuned for more updates on the Moto G, we expect to hear more in the coming weeks. 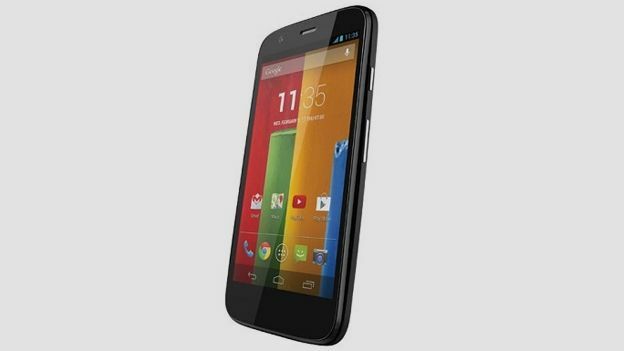 Is the Motorola Moto G the most affordable Android smartphone yet?